We are pleased to offer a wide range of membership packages for 2016/17 depending on what you are looking for. Please find below an outline of what is available. For further information please use the enquiry form to contact Alastair Mundy the Membership Secretary. For information for the Under 16s please view the junior sections of this website. Once you have some tennis experience ‘under your belt’ you are welcome and encouraged to join as a Transition Member (£120.00 pa) For this you may continue with coaching as much as you like and have individual lessons (at extra cost) if you so wish. Additionally you will be given a key to the court and a timetable as to when courts are available for you to use. Balls are also provided. You are also invited to a monthly Transition Night for a relaxed introduction to club social play and a chance to play more tennis and meet some Full members. These evenings are great fun and increasingly popular. Transition Members are also welcome to attend club social functions. Midweek Membership costs £120.00 pa. Please note Midweek members have the same playing rights but only before 6pm Monday to Friday as Full Members) These members can come along to the ‘turn up and join in’ social sessions Mon to Thurs mornings, Tues and Thurs evenings and Sun mornings. Full members can also play in teams against other clubs in Essex, Brentwood and Romford and District Leagues (players of different standards play in different leagues) and we run internal competitions throughout the whole year. 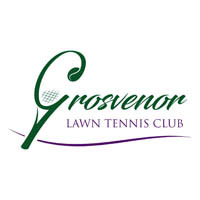 The Club also organises a range of social tennis events for Full Members. We also have separate packages for students (living away ) For eligibility for these packages please contact the Membership Secretary. To contact the membership team please, please use our membership enquiry form.